As we all await the U.S. Supreme Court’s ruling on the so-called Affordable Care Act (ACA), the number of uninsured working people continues to increase. A recent Gallup poll shows that 17.1 percent of U.S. residents lacked health insurance in 2011 compared with 14.8 percent in 2008. Millions of U.S. workers have lost their jobs and, with their job loss, lost their health insurance. Workers who have managed to keep their jobs in the current depression still have a tough time maintaining their health insurance. Between 1999 and 2008, family health insurance rose 119 percent — far outstripping wage increases in the same period. Part-time workers, whose ranks also are increasing, are even less able to afford health care insurance. Latino workers fare the worst, as many are unjustly victimized because of their undocumented status. The ACA is not a solution to this country’s healthcare crisis. 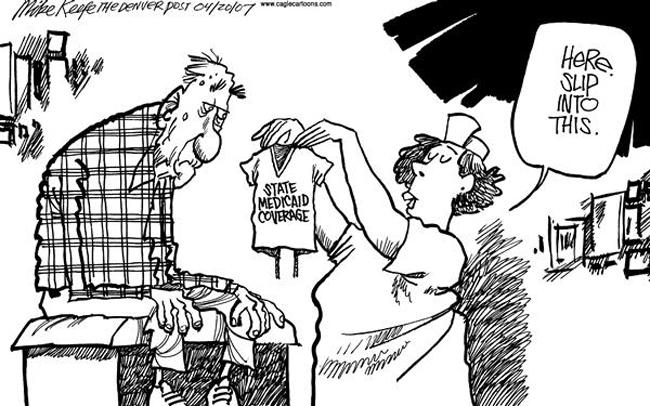 We need single-payer, national health insurance program that covers everyone in the country. I’ll continue to argue for that solution no matter what the U.S. Supreme Court decides. I hope you do the same. 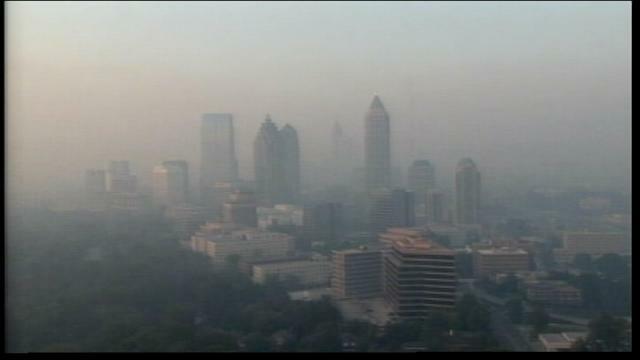 Atlanta -- a city with a mostly Black population -- dubbed by Forbes "America's most toxic city." Working-class African-American and Latino families live in areas with markedly poor air quality. Power plants, industrial boilers, bus terminals, and highly trafficked roads and highways are commonplace in these communities. As a result, African-American and Latino youth breathe toxic air. Added to the air pollution that plagues these poor, working-class communities is the fact that children in these neighborhoods are exposed to other environmental toxins and allergens at a higher rate than children in affluent neighborhoods. Toxic waste sites and contaminated water, for example, are more often near African-American, Latino, and other working-class neighborhoods. Dust, mold, cockroach droppings, and other indoor pollutants associated with increased asthma rates are more prevalent in the poor housing stock in these communities. Asthma is a disease from which no one should die. To decrease its incidence among poor and working people, how about a massive public works program to clean up the environment of African-American, Latino, and other working-class communities? Such a green campaign would provide much-needed employment and result in improved health. Increasing access to primary-care clinicians would decrease the mortality from this disease. As noted before in this blog, working people, the poor and impoverished, rural populations, and those without insurance die younger and die more often than others. 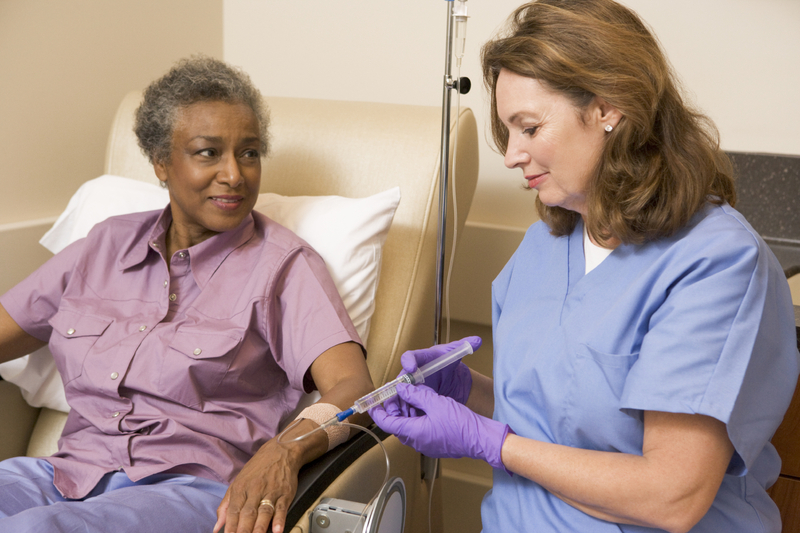 This unequal burden of disease and death falls even more harshly upon people of color. African Americans, Latinos, Asian Americans, Native Americans, and Alaska Natives suffer in disproportionately higher numbers from disease. 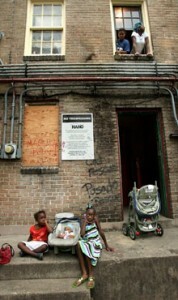 The new CDC report is yet another verification of these horrific inequities. The report also discusses the glaring income inequalities in the United States. This and other social inequalities are the root cause of health inequities. Until we have social justice, health inequities will remain an intractable problem. Cuban physicians and health care teams are on the front lines of the battle against the cholera epidemic ravaging Haiti. As the British news paper, The Independent, recently noted, the Cuban revolutionary government’s health aid far outstrips that given by the U.S. government – despite President Obama’s pledge to mount a monumental humanitarian relief effort. 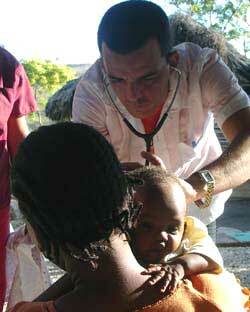 Cuba doctors first arrived in Haiti in 1998. When the country was struck last year by a devastating earthquake, the Cuban corps of 350 physicians sprang into action, providing much needed medical assistance. Cuba sent hundreds of additional physicians, nurses, and other health care providers to aid in this relief effort. After a couple of months, most other countries had pulled their relief teams out of Haiti, leaving the Cuban health care teams, Partners in Health, Doctors Without Borders and their Haitian colleagues as the principal providers of health care services. Cuba now has some 1,200 health care workers in Haiti. Not yet recovered from the earthquake’s devastation, Haiti now is gripped by a cholera epidemic. At year’s end, the death toll from the epidemic was more than 3,300 people, with more than 150,000 infected with the disease. According to The Independent, Cuban physicians are working throughout the country and have treated some 30,000 cholera patients since the epidemic began in October 2010. The Cuban government’s commitment to helping ensure the public health of its population and the health of the world’s peoples dates back to the earliest days of the Cuban Revolution. Currently, 25,000 Cuban physicians and an additional 10,000 other health care workers are providing clinical and preventive health services in 77 of the most impoverished countries in the world. Meanwhile, the Cuban people have free health care and enjoy a health status that rivals – and, in some instances, surpasses – that of the United States. Cuban health brigades are sent wherever they are needed and only at the invitation of the receiving country’s government. This aid is provided without any strings attached. In the wake of Hurricane Katrina, the Cuban government offered to send its Henry Reeve Brigade to aid Gulf coast victims of the storm. The U.S. government rejected this offer to help. Workers whose bosses offer health insurance are paying 14% more out of their own pockets this year for the coverage. The average such worker is paying almost $4,000 a year toward their family health coverage. 2010 Employer Health Benefits Survey. This increased financial burden on workers results from their employers increasingly shifting the cost of health insurance onto their employees’ backs. Total premiums for family coverage, including what employers themselves contribute, rose a modest 3 percent. However, the amount employers contribute for family coverage did not increase. For years now, employers have been making their employees pay more for their health coverage. Since 2005, workers’ contributions to premiums have gone up 47 percent, while overall premiums rose 27 percent, representing a large shift of health care costs to workers. The rate of increased health care costs outstrips wage increases. In other words, the employers’ cost-shifting decreases workers’ incomes. The median income of all households stayed roughly the same from 2008 to 2009. It had fallen sharply the year before, as the recession gained steam and remains well below the levels of the late 1990s. Lawrence Katz, an economist at Harvard University, said the decline in incomes in 2008 had been greater than expected, and when the two recession years are considered together, the decline since 2007 was 4.2 percent. Gains achieved earlier in the decade were wiped out, and median family incomes in 2009 were 5 percent lower than in 1999. “This is the first time in memory that an entire decade has produced essentially no economic growth for the typical American household,” Mr. Katz said. If your out-of-pocket expenses — high deductibles, costly premiums, and large co-pays — are high, you’re more likely to forego needed health care. Workers and their families are being forced to deal with acute problems on their own and to ignore chronic medical problems until there’s an acute crisis. The worst recession (personally, I’d call it a depression) since the Great Depression is literally killing people. 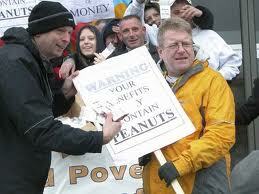 The U.S. Congress is forcing many unemployed workers to forgo health insurance. In addition to the millions of working people already lacking health insurance, workers with health insurance from their current employers will have difficulty maintaining their coverage in the event they’re laid off. A longstanding federal law called COBRA requires employers to continue insurance for former employees, typically for 18 more months — if those workers pay the entire premium plus a two percent administrative fee. Last year, as part of the so-called stimulus bill, Congress approved a 65% COBRA premium subsidy; however, that subsidy ended May 31, and workers using COBRA will have to pay the entire premium themselves. Many won’t be able to do so. 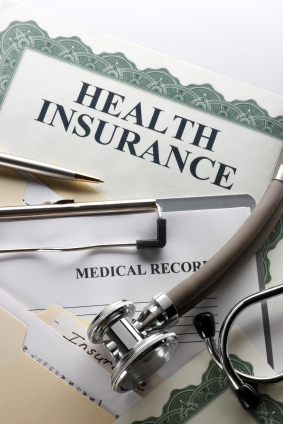 The average price of health insurance for family coverage is about $1,100 a month, according to the U.S. Agency for Healthcare Research and Quality. With the subsidy, COBRA coverage costs $385. 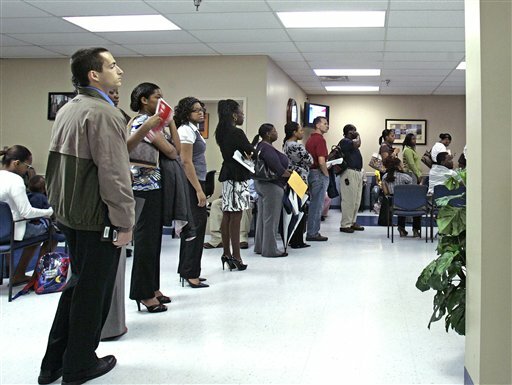 The majority of unemployed workers never qualified for the COBRA subsidy. They either worked for an employer who didn’t provide health benefits or they were tossed out of their jobs before the subsidy went into effect. 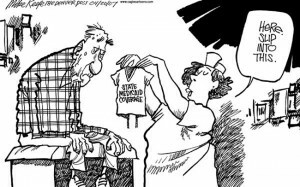 The so-called health reform act signed into law earlier this year offers little relief. The much-touted extension of health insurance to those currently uninsured allows for those with pre-existing medical conditions to be placed in “high-risk” pools, which will be charged higher rates for their coverage. Also, the new health regulations don’t go into effect until 2014. With the continuous influx of refugees into the U.S. health system, they represent a unique minority population that challenges clinicians. As noted previously in this blog, racial health inequities run rampant in this country. However, one group not well understood nor frequently cited in the health disparities literature is refugees and, more specifically, African refugees. The United States currently has 275,461 refugees from all over the world and 69,003 of them are from fifty-one African countries. Refugees endure overt and subtle degrees of discrimination due to their minority status and “otherness” in U.S. society. Moreover, numerous cultural, religious, educational, economic, language, social and political barriers impede their ability to lead a successful, healthy lives in the United States. While they may gain economically by living in the United States, they lose significantly in terms of social status and their ability to negotiate the societal waters. Upon their resettlement to local communities in the United States, refugees undergo health assessments through local health departments. They are re-screened for tuberculosis and other communicable diseases. Cases unearthed in this fashion are treated within the health department. Depending on the health department, other health problems brought to light in this assessment are either treated there or referred to a primary-care provider. This hand-off of care to the primary-care sector does not always go smoothly, and refugees often find that follow up on medical problems after their initial health assessment is lacking. 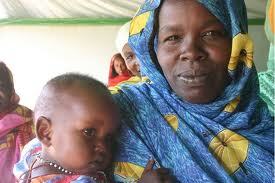 Lack of access to primary-care clinical services is one of the major health problems plaguing the refugee population. Local voluntary refugee agencies focus a lot of their attention on helping the newly resettled refugees find employment, hoping that their jobs will provide them with health care insurance or enough money to pay for health care services. The reality of getting entry-level jobs, with their concomitant poor pay and poor health insurance, means that refugees have unequal access to care. Refugees present with unique conditions — many of which are preventable via vaccination and proper nutrition. Refugees to the United States come with a wide range of problems, presenting a complex array of health concerns. Their diverse ethnic, geographic, socioeconomic, and other backgrounds adds further challenges to providing them with high-quality clinical care. Diagnosing illness is more challenging for providers due to language and social barriers, and the conflicts between the biomedical disease model and the disease perspective in refugees are significant. Another challenge confronting U.S. health care providers who treat African refugees is that these patients arrive from areas where illnesses such as malaria, schistosomiasis, and other “tropical diseases” may be endemic. These diseases are not seen by many U.S. clinicians. In addition to trying to treat illnesses with which we may be unfamiliar, clinicians caring for African and other refugees also must care for patients who have undergone a great deal of physical and psychological hardships – both in their countries of origin and in their long trek to the United States. Emotional and psychiatric problems such as post-traumatic stress disorder, depression, and anxiety are prevalent and usually linked to exposures to violence. Refugee patients often relate the causes of these psychological ailments to social disconnectedness and community alienation. Their psychological discomfort often expresses itself as somatic complaints — a presentation that both makes it more difficult for biomedically trained clinicians to diagnose and to treat.